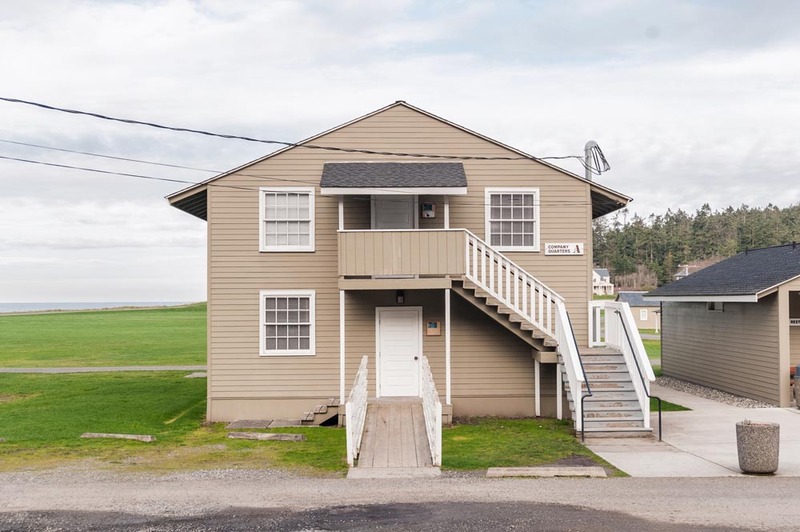 Two-story wood-frame barracks line the parade field on Casey’s south campus. 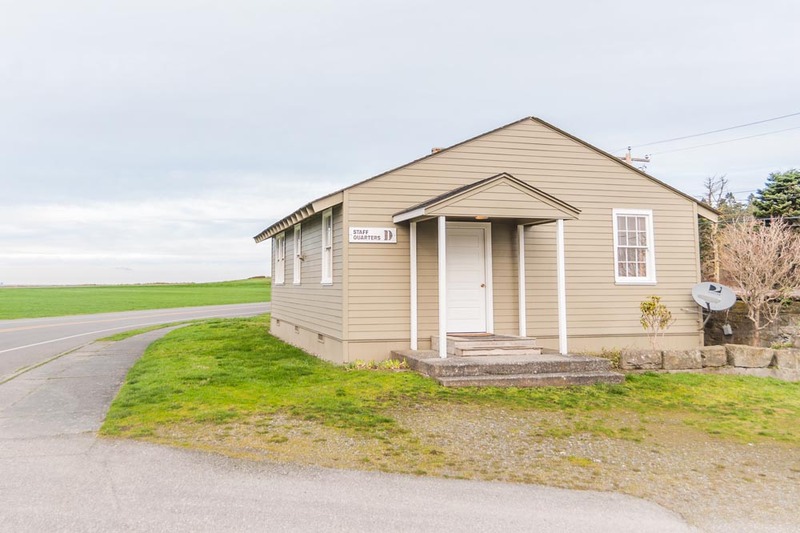 They maintain an atmosphere of Fort Casey’s U.S. Army history and character, while offering private bedrooms. 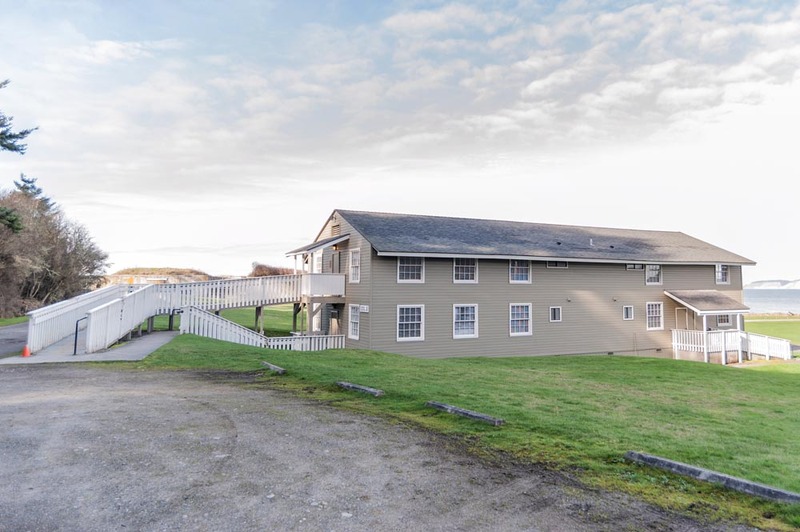 These remodeled barracks, referred to as company quarters and dorm-style lodging, are available as sleeping facilities and can host groups of 4–120. 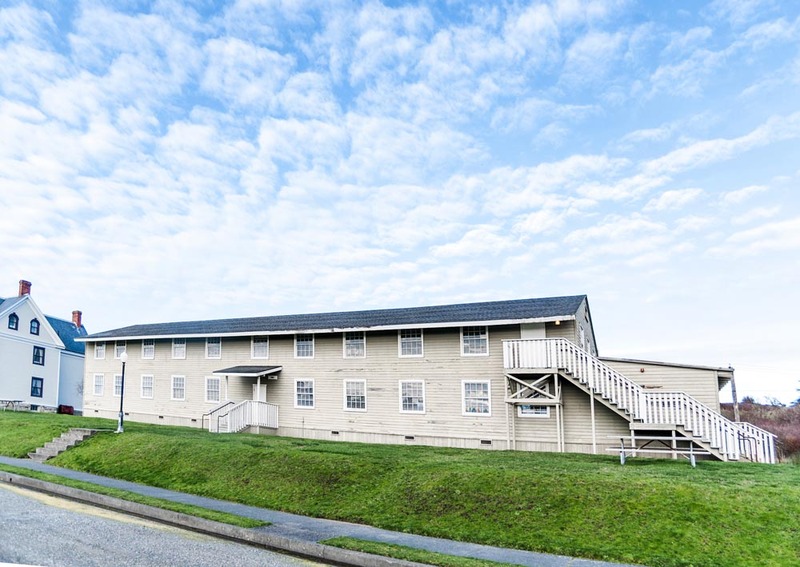 Dorm-style quarters are well suited for older groups requiring more privacy and quiet. Genders can share floors, as there are private single-gender bathrooms per floor. Linens are available to rent.